I mention this in order to acknowledge the privilege inherent in the role of the critic. Playwrights work on their plays for years in a steady stream of workshops, meetings, further workshops, casting and rehearsing that ultimately culminates in a live performance before an audience. It is at this last stage that we, the critics, enter the equation. Suffice it to say, even the most radiant reviews cannot fully acknowledge the sheer amount of time and effort that goes into producing even the most presentably basic play. 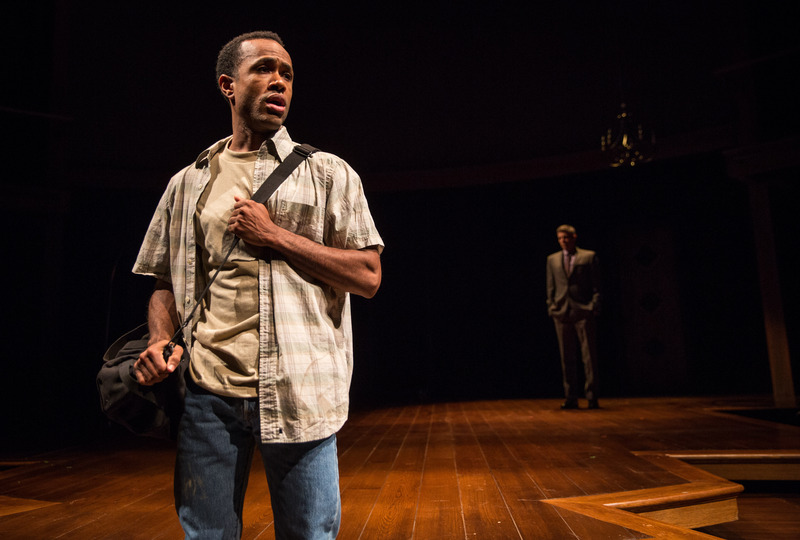 All of which makes the Goodman Theatre’s New Stages Festival such an eye-opening delight. A series of staged readings and developmental productions, New Stages offers a vision of the creative process that many of us make only the barest assumptions about. As a free event, it also offers unprecedented access to the artists involved. Given the Goodman’s commitment to diversity both on stage and in its audiences as well as its vested interest in community development, the most crucial element of this festival may very well be the cost, or rather lack thereof. The developmental productions in particular could have easily demanded a pay-what-you-can admission and almost no one would have batted an eye. Yet for nearly every event I attended, the Owen Theatre was packed to the rafters, which, in its own way, is a profit beyond calculation. Alongside the anticipated contingent of blue-hairs, the demographic most readily identifiable was that of our city’s working artists. There are many aspects of New Stages that make it attractive to a working actor, writer, stage manager, etc. : the opportunity to network, to see free entertainment (several of these readings and productions were quick to remind audiences how little theater artists are compensated) and perhaps even soak up some perspective, the life-blood of those who labor and toil over single projects for months and years. In that regard, I imagine works like Lauren Yee’s heritage caper “King of the Yees” or Jordan Harrison’s dark ages comedy “The Amateurs,” both of which demonstrated a great deal of promise while also bearing the distinct marks of self-consciousness, probably had a profoundly comforting effect on the artists in attendance. These two plays in particular played to the strengths of the festival’s low stakes. Each toyed with a “play within a play” structure. 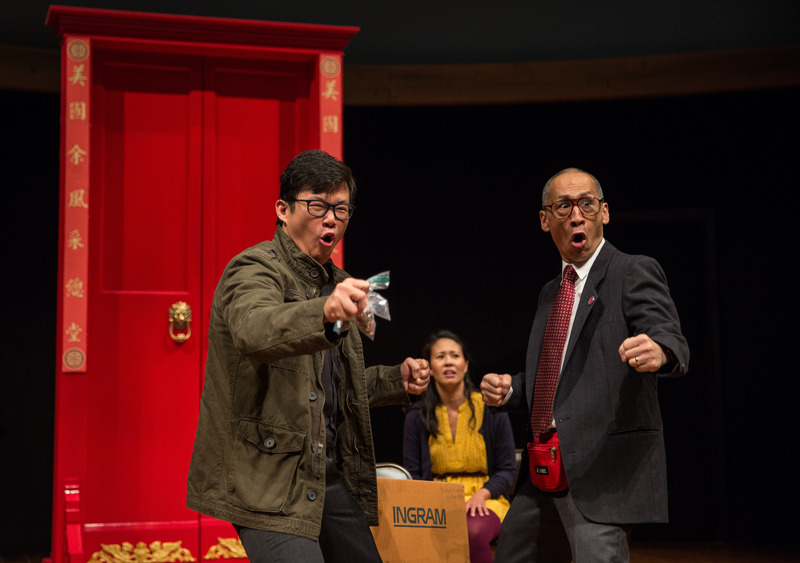 The results were specific to the tastes of the respective playwrights—Harrison is far more heart-on-the-sleeve than the more reticent Yee—though both contained humor that played well to audiences that knew their way equally well around a fourth wall or an equity break. Other works by contrast seemed more concrete, and, by extension, a little more stage-ready. Dael Orlandersmith’s wonderful one-woman show, “Lady in Denmark,” reminded me of an underrated gem from last season, “The Testament of Mary,” and was delicately guided by Victory Gardens’ artistic director Chay Yew. An elegy to music, love and loss performed by the radiant Linda Gehringer, “Lady in Denmark” may have very well been the riskiest reading of the festival. For its richness, vitality and warmth, it was also the most rewarding. Charles Smith’s spiritually and geographically nomadic “Objects in the Mirror” spans more than ten years and multiple continents in its tale of a Liberian refugee’s unflagging pursuit of security and safety. Elegantly tying together the festival’s themes of identity, memory and performance, “Objects in the Mirror” represented the highlight of New Stages. If I had to put my money on only one of these plays getting picked up by the theater that hosted its development—not to undermine the overall level of creative excellence I saw elsewhere, of course—I’d claim “Objects in the Mirror” without hesitation. The title of Smith’s play comes from a moment when the young refugee is admonished by his uncle for thinking that they will ever be truly beyond danger. “Objects in the mirror are closer than they appear,” he intones. Though ominous in this particular context, I couldn’t help but feel that this phrase summarized the festival. For artists in all disciplines, there is a sense of always glimpsing work in retrospect even as it barrels forward. The percentage of a work’s lifespan as seen by an audience on opening night represents only a sliver of its true longevity. In many regards, a play is never really finished even after it is produced. Those ideas, themes, characters and settings serve to inform the continuation of the artist’s journey. They are always there even when they seem very distant, as if merely a faint shadow in the rearview mirror of memory.